Partners Micael Wolfe, Doug Falconer and Jacqueline Brodie-Hanns have decades of music, event and hospitality experience between them. Together with brewer Brad and a great team of bar staff, they invite you to visit the Taproom. Try the signature Black, a lager brewed with Coffee Basics own coffee, or enjoy the latest addition, a refreshing cloudy ale, the Shedshaker. Since 1851 Castlemaine has been famous for two things: gold and beer. Handcrafted beers that are distinctive, traditional and brewed with passion and dedication to craftsmanship. Years ago Mike’s dad Jeff and his neighbour Bill blew up the shed filled with homebrew. The volatile culprit was a dodgy batch of ginger beer. 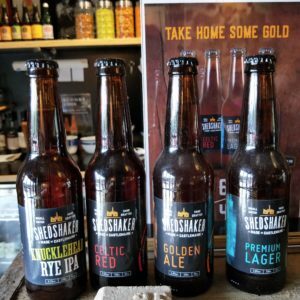 The boys called these ‘Shedshakers’ and they vowed to steer clear of anything a bit iffy, sticking with the traditional ales they’d been enjoying for many years. 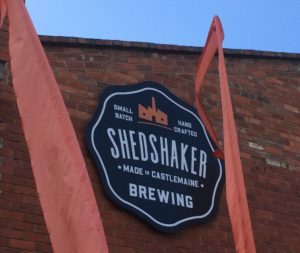 Shedshaker Brewing, made in Castlemaine. Hand Crafted. Small Batch. 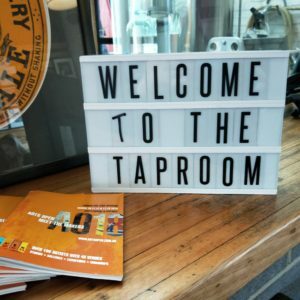 The Taproom is open with 8 different beers and cider, tasty snacks, cool jazz and art, takeaway growlers and squealers. 9 Walker St. Castlemaine, 3450, Victoria.